Have you been injured in an accident at work, which has stopped you from returning to work or needing long term care? 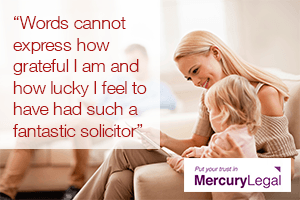 Speak to Mercury Legal about a No Win, No Fee Claim for compensation. Call 0800 122 3130. Have you damaged your back at work, either after a fall for from repetitive lifting? If so then you maybe able to make a claim for compensation. 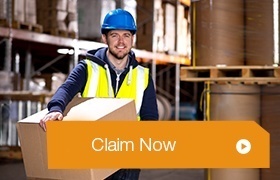 Call free on 0800 122 3130 to find out how you can make a claim today. If you have been injured in an accident at work, which wasn’t your fault in the last 3 years then you maybe eligible to make a claim for compensation with Mercury Legal. Call 0800 122 3130 for free, no-obligation advice. Injured in a scaffolding accident that wasn’t your fault? The saddest part of all is that the majority of these incidents are easily preventable if experienced workers use the right materials and follow safety guidelines. Whilst some scaffold accidents can be relatively minor the possibility of serious injuries occurring is obvious for all to see. Sometime it is the scaffolders themselves who are involved in accidents but frequently it is other workers and tradesmen who suffer for the negligence of others. If you are an electrician, painter, etc and a job requires you to work on scaffold structures in order to perform your duties then of course you take a look at the structure to make sure it looks safe but ultimately you have to trust the professionalism of your fellow workers – sometimes this trust can be misplaced. Scaffolders themselves can only work with the tools they have been given, if they are working with old damaged piping or planks that their employers wont replace accidents can happen that are out of their control and indeed they can be caught up in the middle of it. Often clients are scared to seek legal advice following an accident at work as they fear reprisals from their employers and are worried about jeopardising their job – perfectly understandable. Rest assured that the law is on your side and your employer cannot simply get rid of you because you make a claim, if you have suffered injury due to the negligence or actions of others you are perfectly entitled to make a claim for compensation and we are here to help you every step of the way. As well as having a personal injury solicitors at our disposal we also have employment law experts ready and willing to help and answer any questions you may have about your legal rights following an accident at work so you need not worry unnecessarily, just ask us a question and we’ll take care of the rest. It can be an extremely stressful and worrying time for anyone following a work accident – what will happen to my job? How am I going to pay the bills? Who will pay for my medical treatment? Don’t sit there and worry about it, contact us today and find out the facts. We will get the compensation you deserve! The UK working hours are amongst the longest in Europe so with so many of us spending more and more of our time at work it is hardly surprising that accidents will inevitably happen. Mention the phrase ‘accident at work’ and immediately many of us conjure up images of building sites or industrial machinery and whilst we At Mercury Legal Online are experienced at handling accidents of this type, we do assist clients from a wide variety of occupations and professions ranging from heavy manual industrial through to shop and office workers. Our solicitors are experienced in dealing with all aspects of construction injuries including accidents either involving scaffold or where it was the primary cause of the incident. All of our solicitors work on a no up front fees basis and you will not be asked to pay any money whatsoever up front and even if your claim is unsuccessful through no fault of your own you will never be asked to pay anything to anyone. Contact us today to see if we can help you get the compensation you deserve. If you are unsure if you have a claim for a scaffolding accident, then call our team for free, no obligation advice on making a claim. They will ask you some simple questions about your exposure and will be able to tell you if you have a claim or not. Call 24/7 0800 122 3130.